Matteo has travelled widely and has a truly international background. As a scientist, teacher and coach his creativity and enthusiasm is invaluable to clients and colleagues throughout Europe. Matteo has had a truly international background having lived in the USA, Italy, Libya, the Netherlands, Egypt, France, and the UK. He speaks fluent English, Italian, and Spanish and is proficient in French. His international, scientific and educational backgrounds make him at home both with highly technical as well as creative work which means he is ideally suited to our style at Aspire. 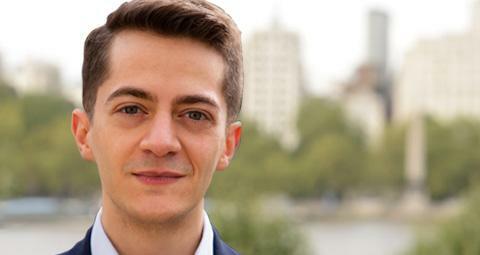 Matteo has a diploma in transformational coaching from ICF accredited ANIMAS. He joined Aspire Leadership as part of an international project we run with Bristol Myers Squibb in Italy and in the UK. He very quickly became an invaluable member of our team working with a range of our clients particularly on Communication and Negotiation courses. He has also worked with many clients on our public courses covering Influencing, Assertiveness, Negotiation, Line Management, Leadership, Presentation skills, and Strategic Planning. Matteo is committed to leadership in education running regular workshops for schools (students and staff). Currently with City of London School for Boys.